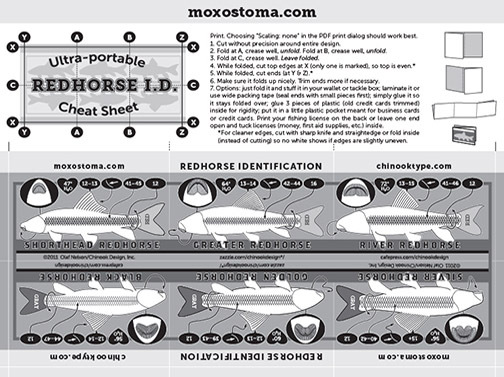 Scroll down for a version specifically intended to be folded (and laminated if you can) to fit nicely in a wallet or pocket. These are free to download, print, share, etc., but please see the copyright info at the bottom of the page. 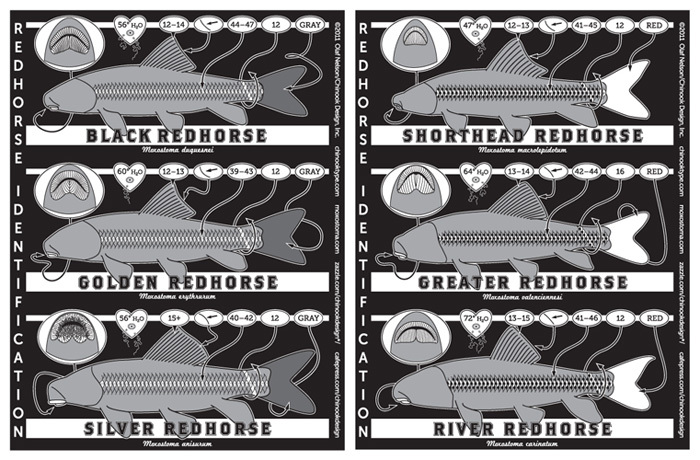 There’s also a Redhorse ID poster for sale (sorry, no way to give them away) through this site’s shop or Etsy. This one folds to the size of a credit card and fits pretty much anywhere you’d want to put it: wallet, pocket, tackle box, hat band, shoe, diaper bag, etc. 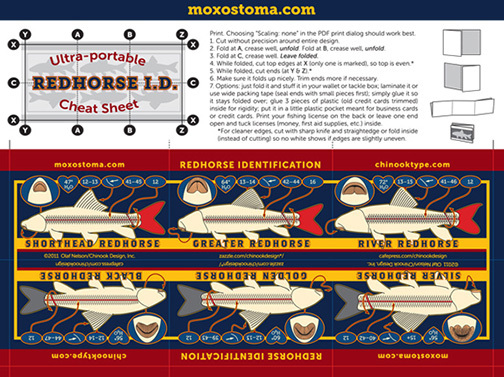 I was browsing through your website and came across this redhorse ID guide. 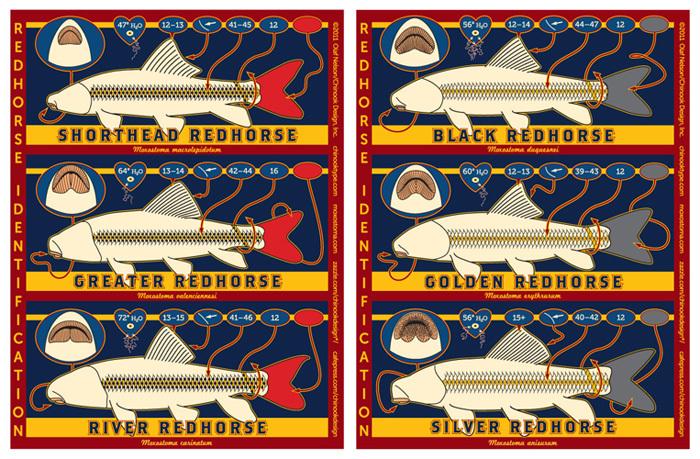 It is wonderful and makes redhorse ID a breeze for the beginner. 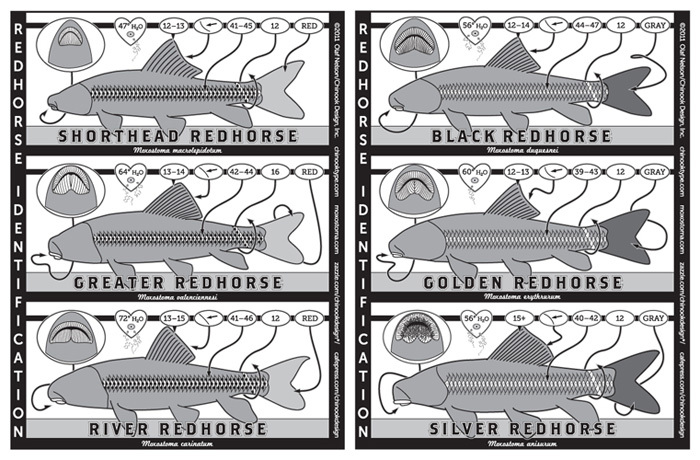 I’m currently training two biologists at work the finer points of fish identification. I’m going to be printing up some of these and hanging them in their cubicles. Thanks for the resource and wonderful site.